Earlier this year, writer and clinical psychologist Shira Nayman published her powerful novel, The Listener. Set two years after the end of World War II in an American psychiatric hospital, the story focuses on the relationship between the chief psychiatrist and a troubled patient who is suffering from severe Post-Traumatic Stress Disorder following his return from the front lines. As the story unfolds, Nayman shares the impact of the patient’s severe PTSD on his own life and those around him. Today, on Memorial Day in the United States, she examines that same situation with the troops coming home from the current front lines in Afghanistan and Iraq and asks the question: Does ignoring the trauma soldiers have undergone leave a lasting historical impact on society as a whole? I’ve long been struck by the poignancy of the moniker Memorial Day. It’s all about remembering: war, acts of heroism, sacrifices made by the some for the many — in the name of ideals around which our national identity is constructed. How and what we remember defines our relationship to the past and therefore, in some way, to our own selves. But remembering always involves dark patches of obscuring; it is, in its essence, a kind of personal chiaroscuro — the illuminated spots of recalled happenings, feelings, events, combining with the shadowy bits of the forgotten into a distinctive pattern that is uniquely our own. For all of us, a healthy orientation towards the past involves a delicate balance between remembering and forgetting, with subtle and ongoing adjustments. When it comes to War, remembering takes on even more complex dimensions. Perhaps the greatest divide lies between those who are fighting the War and those for whom it is fought; in honoring our fighting men and women on Memorial Day, we can’t possibly know what the remembering is like for them, from their point of view. I wonder how deeply unknowing our flag-waving might seem to a returned Veteran as we applaud at our sweet town parade. A brief survey of the covers of Yank Magazine, a weekly written during WWII by frontline servicemen, gives us a peak into how images and information were managed then — with uncomfortable parallels existing today. Strong men in pressed uniforms, heads held high, shouldering their weapons with pride; beautiful women at work in factories; an aircraft carrier with shining planes and saluting, white-gloved officers. A few shadowy images also slipped through: a charcoal sketch of a nurse beaming her flashlight onto wounded men; and another sketch — were the actual photographs too hot to the eye? — a close-up of a soldier, head bent, his face stark with despair. Yank readers, back home, were mostly spared the horror of the kinds of images likely to burn themselves into memory with permanent anguish. Skipping ahead seventy years to the present, our news shows and papers continue to spare us from the worst, but for an occasional glimpse. Two series by the documentary photographer Nina Berman — Purple Hearts and Marine Wedding — depict wounded Iraqi war veterans; anyone who has seen these harrowing images will have trouble putting them from mind on Memorial Day. It is the eyes that sear most: eyes that seem uncannily to be gazing inward and outward at the same time, as if assailed — forever? — by a frightening, parallel universe the rest of us can never know. Any discussion of wounded war veterans inevitably involves a discussion of wounded psyches. A recent New York Times article noted that one fifth of returning veterans report some kind of “mental disorder;” the National Center on PTSD puts the percentage of active troops “who have/may acquire PTSD” at 40%. Time Magazine’s recent article, “Is the Army Losing its War on Suicide?”, documents the burgeoning rate of suicide in the military. In among the noise of these statistics I find myself increasingly troubled, as Memorial Day rolls around once again, by a hollow surround of silence where there should be the blaring of voices: where is the wisdom from a century that has, alarmingly, given us so much experience regarding the ways in which War damages the psyche? Where is the understanding, compassion, and guidance regarding the profound moral burdens — powerfully explored by the philosopher and psychoanalyst, Nancy Sherman, in her recent important book, The Untold War — that our soldiers, having done what they were asked to do, must carry, forever, within? On this Memorial Day, perhaps we need to recall that honoring through memory those who have served and suffered is a complex matter that carries with it certain responsibilities. We need to remember that “selective forgetting,” which allows the psyche to maintain its equilibrium and a life to proceed with harmony, is a luxury that many who have served no longer enjoy. For a large number of veterans, memory has become a nightmare of recurring, traumatic, unbidden recollection that eats away at the soul, reducing the present to a ticking time-bomb of despair, and effacing all sense of a future. One of the saddest echoes on Memorial Day for me is that where our veterans are concerned, a silence of forgetting too often darkens the other 364 days of the year. Frequently we hear that veterans — wounded physically, psychologically, often both — feel abandoned, forgotten, by the military as well as by the rest of us. We owe them full-bodied recognition of what they have been through, of what they now face; a remembering that takes accounting of the fact that their sacrifices partly enable us to retain the privilege of being able to forget, where they cannot. DISCUSS: Can a Novel Be “More True” than a Work of Nonfiction? 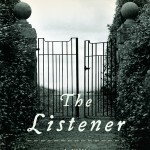 BUY: Shira Nayman’s novel, The Listener. Erin L. Cox is the Business Development Director for Publishing Perspectives and a Senior Associate at Rob Weisbach Creative Management, where she represents writers and handles publicity and advertising clients.